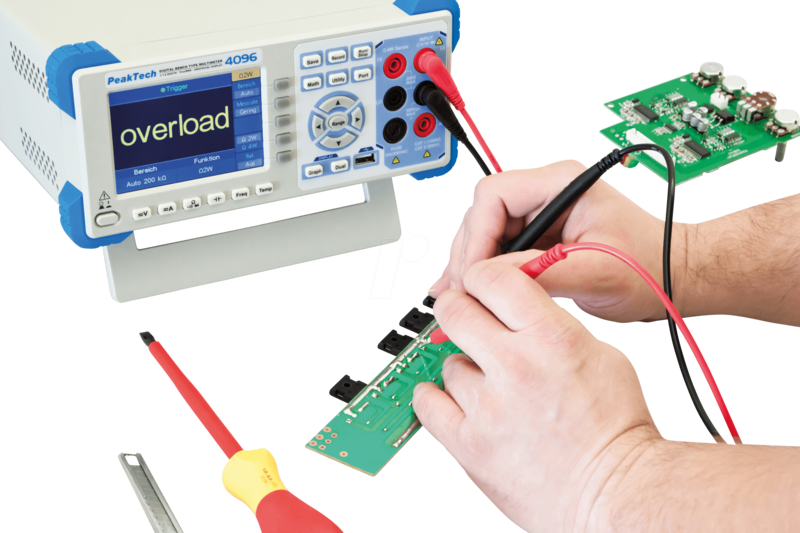 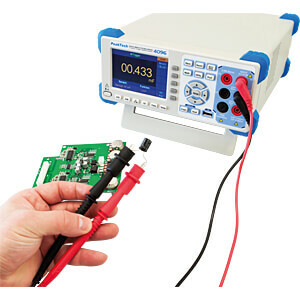 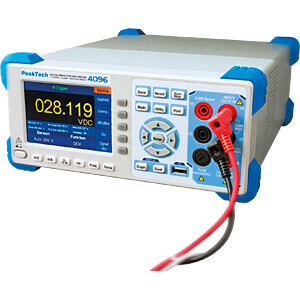 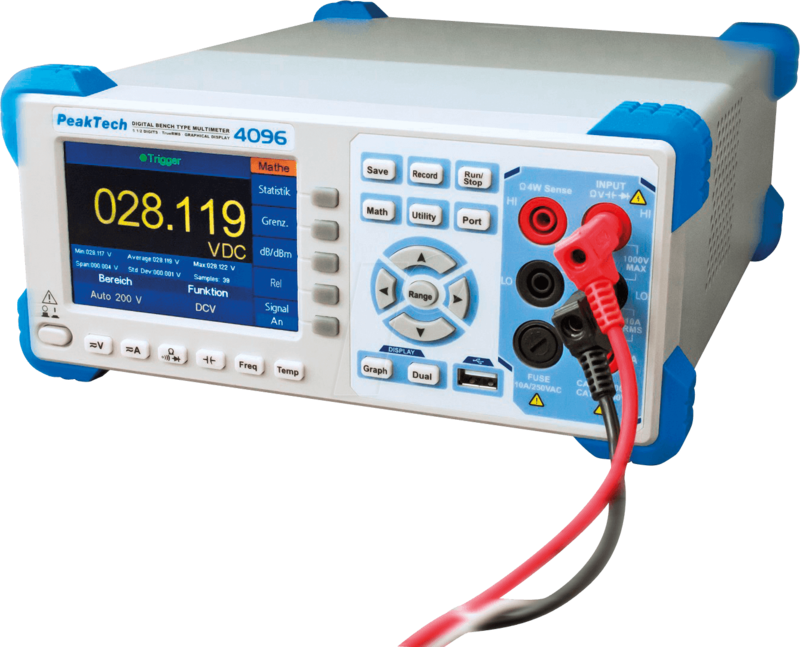 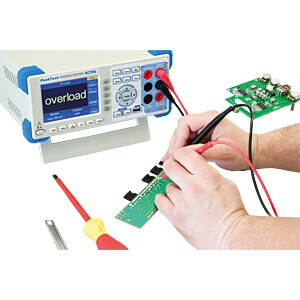 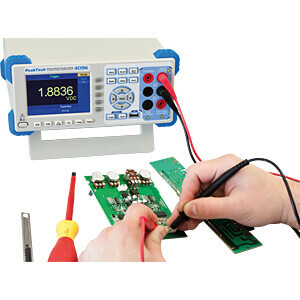 Graphical Bench Multimeter with 200.000 Counts, Datalogger, RS-232, LAN, USB. 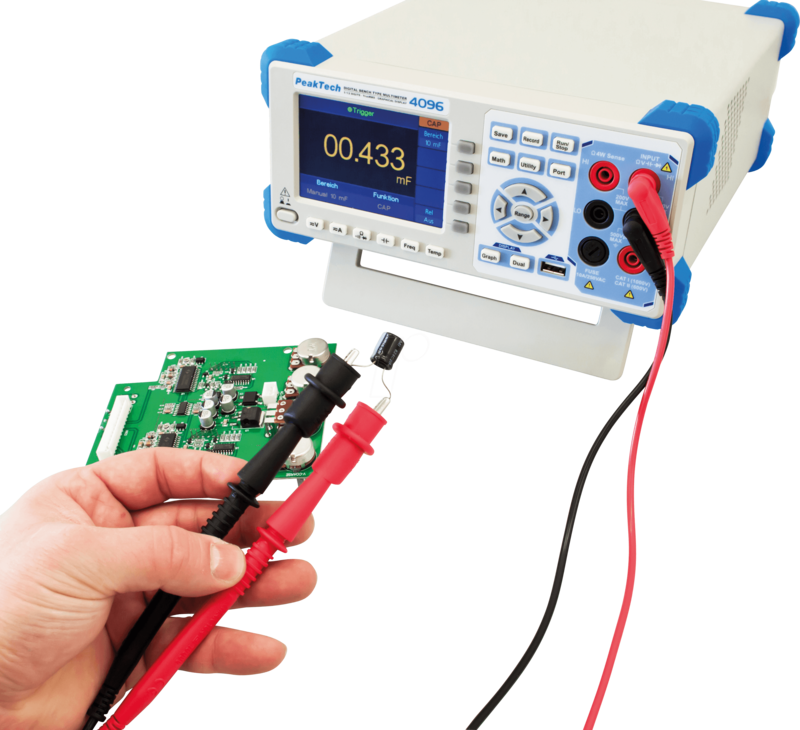 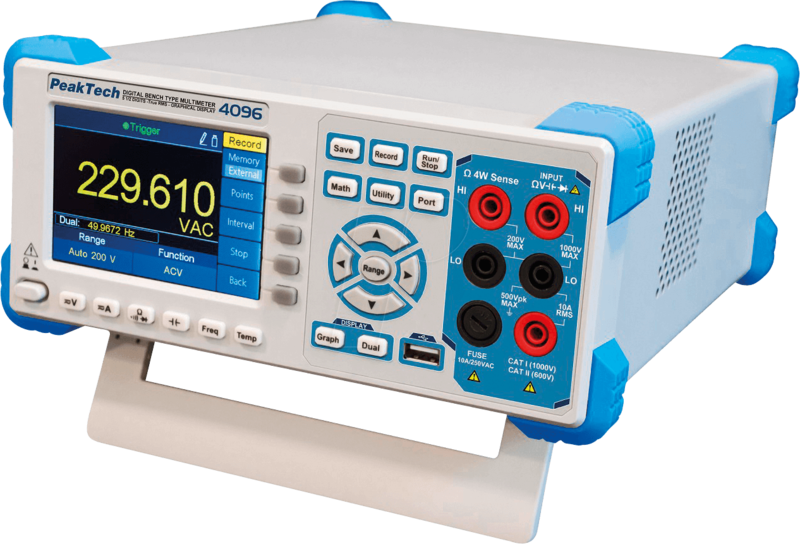 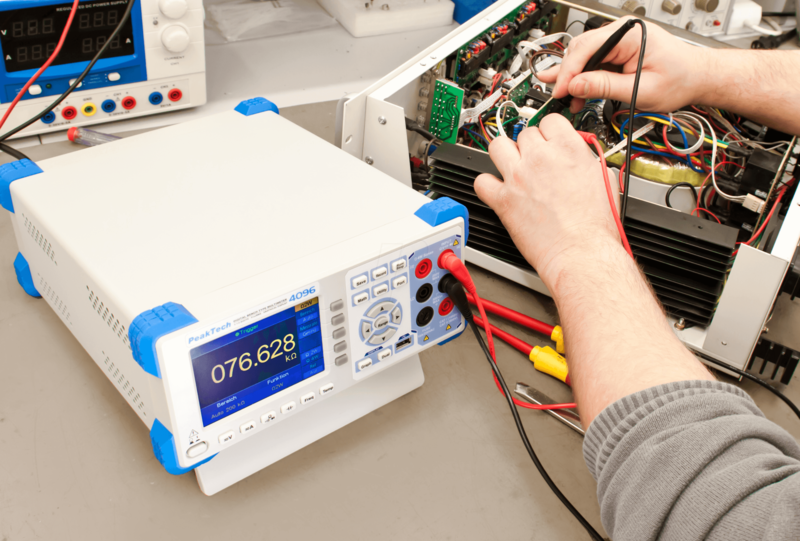 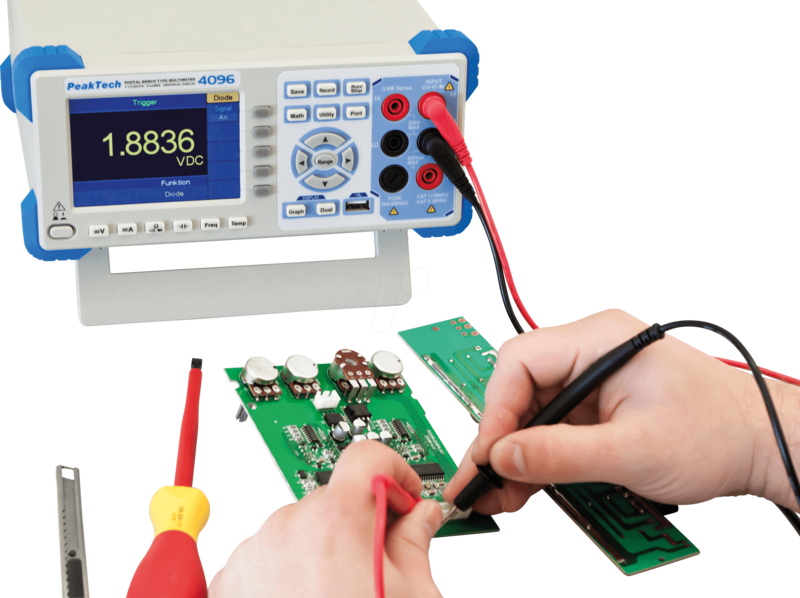 Newly developed precision bench multimeter with TFT graphics-display for high-resolution presentation of the measured values, curves, functional diagrams and many more, up to 150 measurements / second. 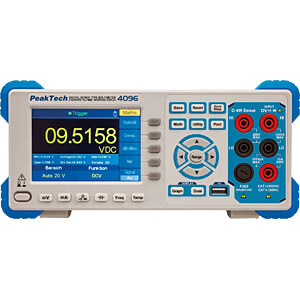 This model is equipped with a variety of special features such as dual measurement of two different measurement functions, internal or external data logger, histogram, dB, pass/fail, thermal resistors or thermocouple - Measurements, curves, function graphs, average views or bar graphs. 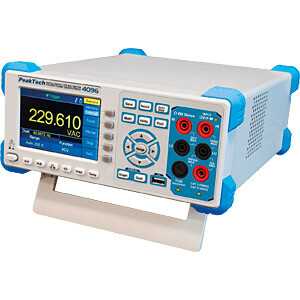 The versatile functions are complemented by True RMS measurements up to 100 kHz. 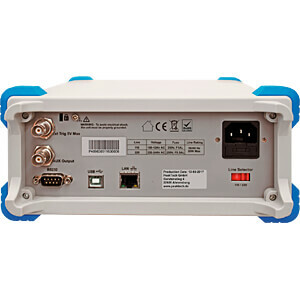 For control via software or via SCPI protocol, the model has USB-, RS-232 or a LAN interface for the network connection.